There are no secrets in ham radio, of course. However, there are aspects that are not well understood or even not known at all by many. 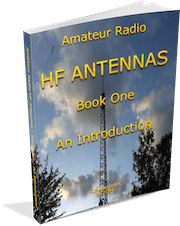 The secret to amateur radio, if there is one (! ), is to first get an overview of all it has to offer then pick the activities that suit you. This website is meant to help you unlock the mystery of amateur radio, while preserving its magic! Get started on your journey toward obtaining your amateur radio operator license. Improve your knowledge of the essential aspects. Discover the many new features of the "king of hobbies"! Amateur radio offers so many captivating sectors of activity that even the most seasoned ham (no pun intended here ;-) never gets to experience all the fascinating possibilities! Equipment such as ham radio antennas, transceivers, receivers get a lot of attention here, of course. Furthermore, in recent years, software has rapidly invaded the daily activities of the amateur radio hobbyist. Learning to program is no more difficult than learning the theory and operations of ham radio communications. Amateur radio software has been, and is continuously being developed, to help - among other things - with rig control, antenna design, logging and digital communications. More recently, software defined radio (SDR) is slowly making the most sophisticated radio receivers and even portions of transceivers ... increasingly obsolete! Most of us use ham radio software. Some of us like to modify software to suit our taste or even develop applications from scratch. What if you have never written a line of code in your life but would like to try your hand at programming to meet your specific needs? You can if you want to. I consider Python to be the easiest to learn and the most appropriate computer programming language for amateur radio needs. Look it up and try it. So, take the plunge! Learn to program your own amateur radio software utilities or even full fledged applications. In doing so you will increase your enjoyment of amateur radio operations considerably. Some amateur radio operators volunteer their skills and equipment to help people in times of need. These special ham radio operators are in small numbers scattered across your country. They devote a significant amount of their time to train for emergencies. You can rely on them to establish and maintain emergency communications when natural disasters occur, such as tornadoes, hurricanes and widespread floods. What amateur radio operators contribute to the community and their country is one the many reasons why almost all countries grant a license to operate radio equipment to otherwise ordinary individuals like me, and you. In exchange for the privileges that come with their license, amateur radio operators are expected to help their fellow citizens, and contribute to the development of new technology, while enjoying themselves constructively! Above and beyond technological feats, ham radio operators continue to - silently and selflessly - make amateur radio history by providing vital emergency communications . . .
and any other situations where no other public communications services are available. Ham radio operators are also often called upon to lend a hand with communications during major outdoor events. Each amateur radio operator has preferences. Many concentrate their activities in one of the following categories. Public service (ARES, Skywarn, Elmers, outdoor events). Experimenting (antennas, modes, equipment modifying, kit building, etc). Those that have the inclination and the available time ... end up doing a little bit of everything! I've been a ham since 1973 with VE2DPE as call sign. I have seen many turning points in this great hobby. The coming years are going to be significant for two main reasons. Fortunately, the detrimental effects the slowly weakening sunspot cycle 24 will have on propagation over the coming years will be compensated by the much improved performance of SDRs! Efficient antennas will become a must! Amateur radio history was made - and is still being made - by countless unique individuals throughout the world. It takes skill and patient determination to. . .
and to establish contact, on the HF bands, with other ham radio operators thousands of miles away, sometimes on the other side of the earth! Acquiring that skill of being able to overcome often poor propagation conditions, not to mention man-made interference, with amateur radio equipment (sometimes modified military or commercial surplus equipment), has and will continue to motivate a certain type of individual. What sort of individual tends to make amateur radio history? The curious. The patient. Someone who likes to learn. The adventurous. The person who likes to go where few people can thread! Those who thrive on taking on new and difficult challenges. That, dear reader, is what the history making ham radio enthusiast is made of. Nuclear science is not within most people's grasp. Nor is biotechnology or astrophysics, for that matter. On the other hand, the technology of radio communications, and digital communications over radio, are well within the grasp of many. Countless amateur radio operators - all over the world - have proved it for more than a century now . . . and they still do! Why did the Internet fail to make amateur radio disappear? Because amateur radio has always been as "high-tech" as hams wanted it to be, often way ahead of mass market technology! How "High-Tech" Is Ham Radio? 1961 - First of a series of Orbiting Satellite Carrying Amateur Radio (OSCAR). Yes. We amateur radio operators have our very own satellites - dedicated to amateur radio communications - over which we can communicate with each other! 1960s - With the arrival on the market of less expensive FAX equipment, hams were experimenting with Radio Facsimile communications. But, with the advent of PCs and sound cards in the 80's, radio facsimile over HF and VHF increased dramatically. Late '60s - Hams began using SSTV (Slow Scan Television) analog technology to communicate images between themselves! Amateur radio communications in CW mode (continuous wave), using Morse code, is the "granddaddy" of digital communications! As far back as the 1890's, Morse code was already being used extensively for radio communication, much before it was possible to transmit voice! Ham radio operators have been using other forms of digital communications over the air waves since the end of WWII, more than half a century ago! What other forms of digital communications? 1946 - Amateur radio digital communication came into being with radio-teletype (RTTY) communication on HF using surplus WWII military equipment. 1983 - AMTOR first enabled hams to do computer-to-computer communications over the air on HF. Other more performing modes soon followed, such as Clover, PACTOR, G-TOR and, most importantly, PSK-31. 1980's - Packet radio came in use when amateur radio operators adapted the X-25 protocol to amateur radio use over the air. The AX-25 protocol was born. Amateur computer to computer (PC-PC) communications on HF and VHF improved considerably with AX-25! 2001-2002 Digital TV communications between amateur radio stations became possible thanks to the work of Barry Sanderson, KB9VAK, who developed the RDFT (redundant digital file transfer) protocol with a help of other DTV enthusiasts! Hams had previously been using SSTV since the late '60s. When I first began receiving reviews of my ham radio Web site, such as the ones below, it was a real surprise! Granted, I share my love for - and what I know about - amateur radio with passion. Admittedly, I aim to please as well as inform. I wish to thank each individual for taking the time to write their appreciation and for allowing me to publish their testimonials here. "How the heck did you ever pack this much knowledge in a book so down to earth and practical? Thank you sooo much for your gift of keeping things simple and clear for us nuts and bolts kind of guys!" "A lovely, informative website for a beginner like me. 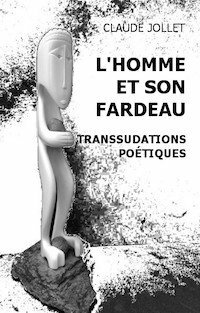 A pleasure to read." "I am writing to tell you how much I enjoy your website. Like you, I started by listening to shortwave. I built several Heathkits. It took me much longer than you to get my ticket. Keep up the good work with the site." "I want to tell you that your website is excellent! I am 60 years old, but I have only been a ham for one year. I began learning code at twelve years of age, but did not take a test until 2012! I like your website very much, and I'm learning a lot from it. My friends and I visit Montreal every year for the Grand Prix du Canada. We love Quebec! I have not yet worked HF, only VHF/UHF. 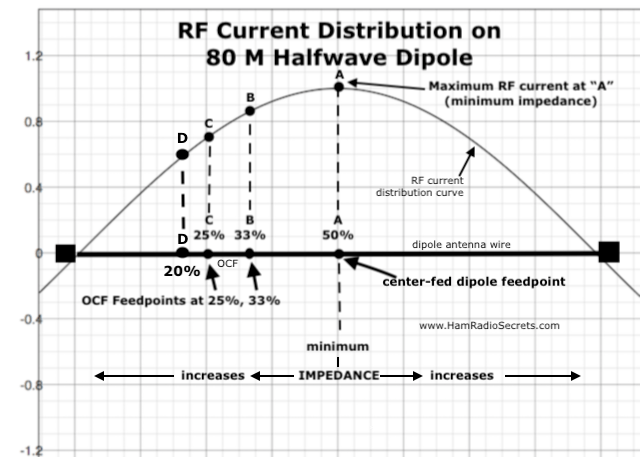 I'm installing an OCF dipole for HF soon. Thanks for your great work. I'll be reading more soon. 73!" "I am quite pleased with my Linear Loading Yields Short Ham Antenna, which I found on your informative website. I build it from 450 ohm ladderline and it works great. I build it for the 17 meter band, but it also tunes nicely on the 15 and 20 meter band." "Congratulations! Your ham radio web site is the FIRST one I ever bookmarked. I have looked at ham sites for years, but they were throwbacks to the early years of HTML, buggy with bad links. Your site was current and flawlessly built. Great job and thanks for the days it took to build the website. Merci, mon ami!" "Hello, great site!!! I've always been interested in getting my license,(my dad was K8BRS out of Detroit area, silent key '72), and recently I've been checking out sites to get info on home-brew gear and licensing help; That's how I came upon your excellent site. Just wanted to give something back, even though it's not much! Your site is a wonderful source of useful info, kind of like a notebook with all of this good stuff in it you don't want to forget, and refer to often. Thank you for being out there, spreading the word; I will be visiting often! I will let you know when I get my license!" "I noticed my quote was still up on your ham radio web site. Now you can change the signature to "Melanie, KM4GQN", although THAT may change soon - I'm currently studying for the Extra, so I'll give up that long 2x3 with a large CW weight for a sequential 1x2". 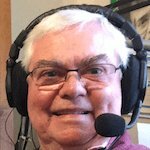 "Claude: Have been a ham since 1971 (original call: DK5LH) and never bothered much about 160 meters until about 15 years ago. Tried out a variety of antennas in my backyard (low-hanging half-wave dipoles, trap dipoles, adjusted 80-m dipoles), but nothing ever worked. In less than an hour, this afternoon my sons and I installed the design you advertise with its low feed point, a vertical/horizontal portion, and a quarter-wave ground poise. It tuned just fine on the first effort, even without the recommended balun. Initial RX comparisons showed a gain of 3 S-Units over previous designs with considerably less noise. Just a few minutes ago I worked a new DXCC country on 160 meters (VP2M) before 8 PM local time on my first call. In short, a huge MERCI BEAUCOUP to you for finally giving me the 160 meter capabilities I never had in past decades. HNY." "Having just entered the world of Ham Radio after a 40 year hiatus - I felt really behind the curve. I discovered your ham radio web site today and appreciate the work that you have put in it. Your page is bookmarked, and is one that I will refer to often. I am interested in the 160m dipole you built, and will be considering it for my own use. My single HF antenna is a Carolina Windom 80 but I'd like to explore and learn the quirks of 160m. What I did not see on your site was information on digital modes such as PSK31. I've just interfaced my PC with my FT-950 and am having fun exploring that technology. Keep up the good work". "I found your website via Google and knew I had struck the mother lode. I'd like to thank you for the treasure trove of information here. I can only hope to someday be as knowledgeable and helpful as you. I will share your link(s) with others. Yours is a gold mine I want others to find too". Soon to be a brand new ham radio operator. "Your website is one of the very best I have encountered. I am a new amateur radio operator, no equipment yet, so you can appreciate my position. Your advice is great. Thanks for doing this." "I don't provide feed back very often, but I have to let you know that this is one of the more enjoyable sites I've been on in a very long time. Thanks for putting the effort into it. I do not know of anyone (ham or otherwise) that I would not recommend this site to. It has something for everyone and regardless of your class of license or level of experience, there is something there for you too!" "I visited your ham radio web site and weblog and I want to congratulate you. The website is very professional and has lots of very useful content." "Hello Claude, and greetings from Vancouver Island. Just popping in to say " thank you " for providing one of the most informative sites I have yet discovered. All your efforts are greatly appreciated. Cheers." "I enjoyed your Web site. Very well done." "What a great site! You tell it as it is, easy to understand, and to the point. Thanks so much." "Good show on your books and website!" How Do I Earn Such Praise? Why is my ham radio web site working its magic on these hams and countless other silent ones? ... all played a part in prompting fellow amateur radio operators to find my ham radio Web site worthy of praise. in a well organized and effective manner. at getting my intended audience's attention. More on the many fascinating aspects of ham radio inside! P.S. Have a question, a comment or request? Please do not hesitate to write here.